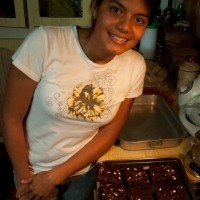 I take a look at Venezuelan cuisine and do my best to experience it. Luckily most of the time I stay with people who are natural-born enthusiasts and experts in this field. Altogether including some extra street culinary experiences, I would like to present a sample menu. 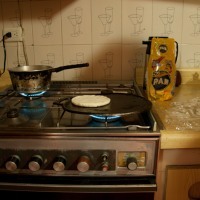 It is a list of things that every hungry or thirsty traveler will sooner or later come across while visiting Venezuela. 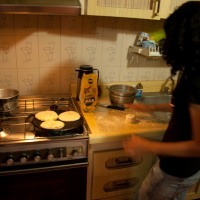 Arepa is a thick cornmeal cake resembling a small tortilla. 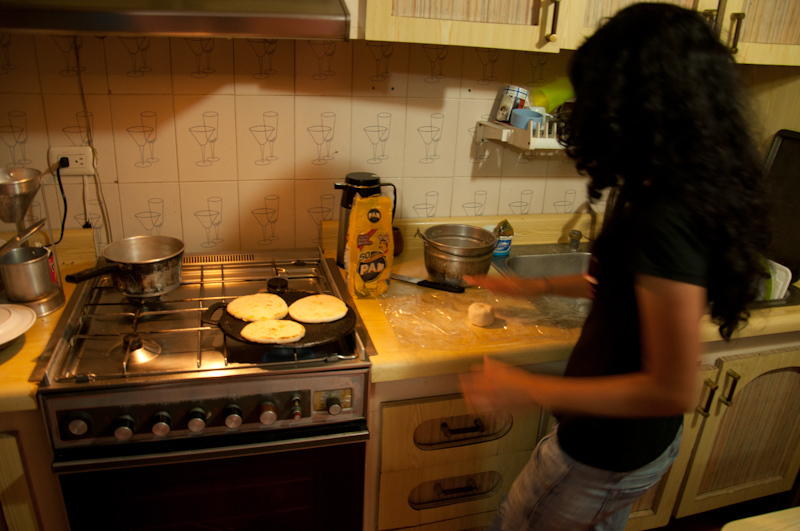 You eat arepas throughout the day, not just for breakfast. It is served with literally any stuffing, can be chicken, pork or cheese, spiced with various sauces. 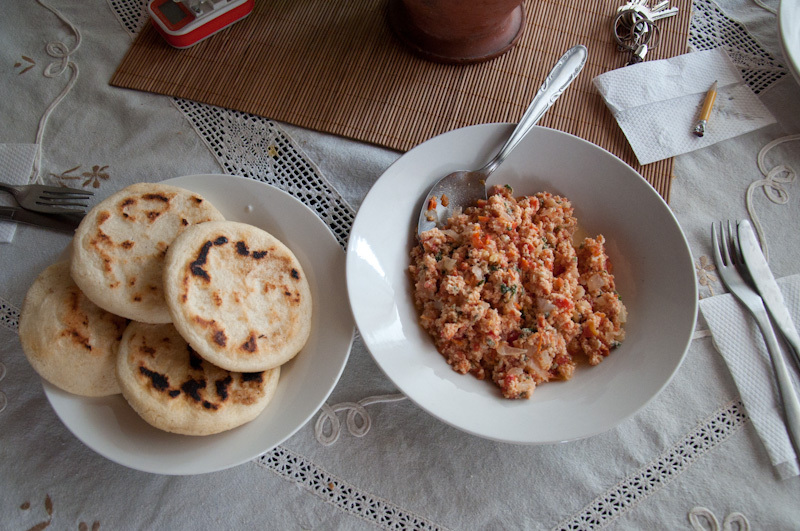 Perico is a kind of scrambled eggs with finely chopped tomatoes and onions, usually served with arepa on the side. Perro Caliente, or simply a ‘hot dog’. 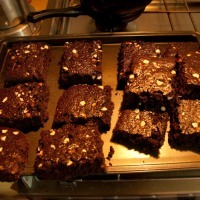 It is most popular street food. 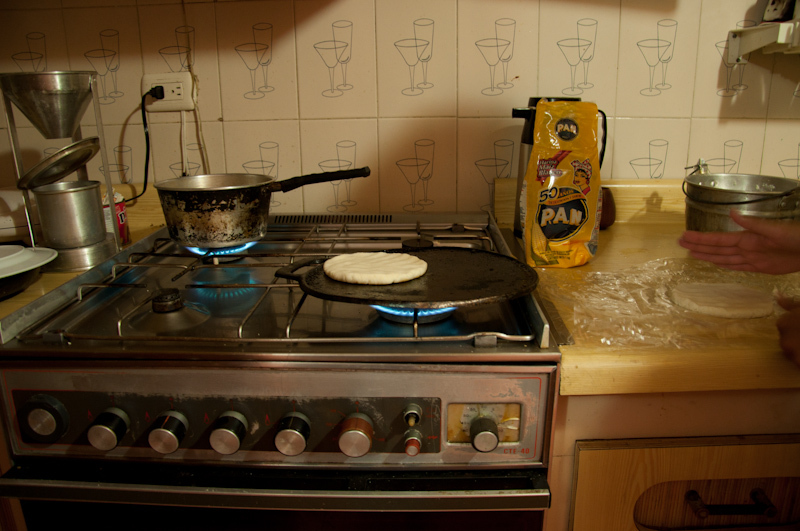 Depending on the version, the hot dog can be ‘normal’, ‘especial’, or ‘polaco’ (meaning ‘Polish’). It’s interesting, because this type of food (meaning a hot dog with sausage, ham, cheese, French fries and other toppings) I never had a chance to see in Poland. 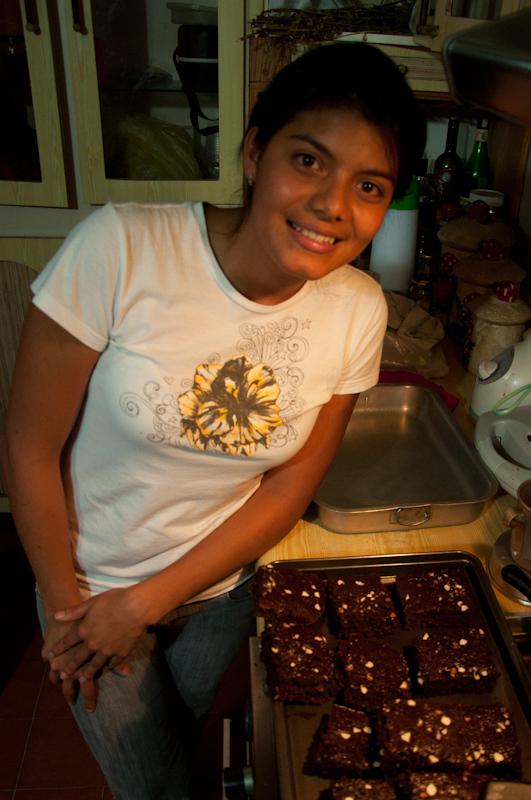 Casabe is thin and crunchy bread made of cassava (known here as yuca). 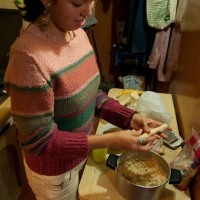 Casabe, just as the boiled yuca (similar in taste to the potatoes) are both a common side for dinner. 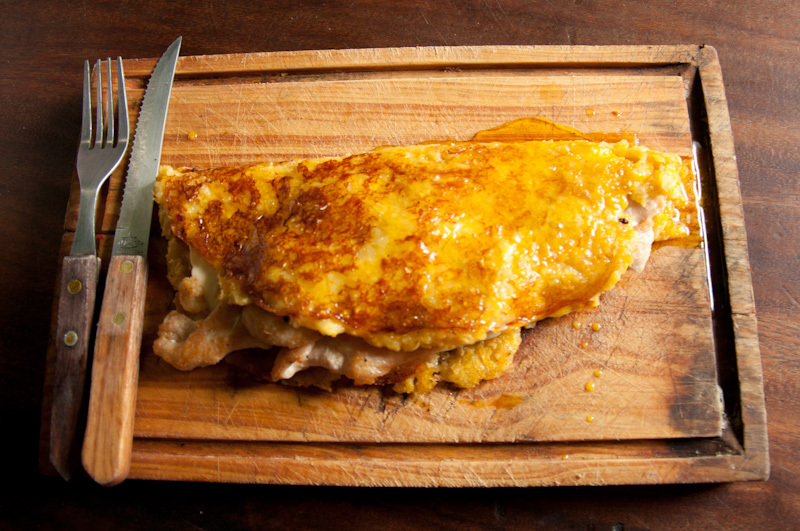 Cachapa is one of the most typical Venezuelan dishes. 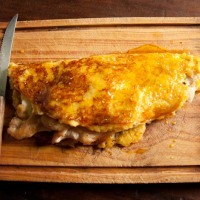 This is a variation of an omelette made of corn flour. A sample meal could be cachapa con pollo a la plancha, which is served with grilled chicken, vegetables, sauces and topped with honey. 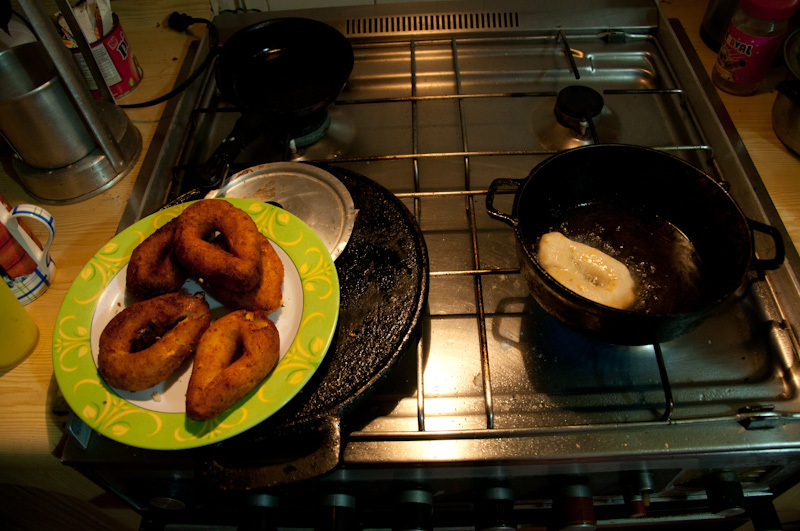 Mandoca is a small round donut made of corn flour. It is extremely greasy and eaten dipped in sugar. 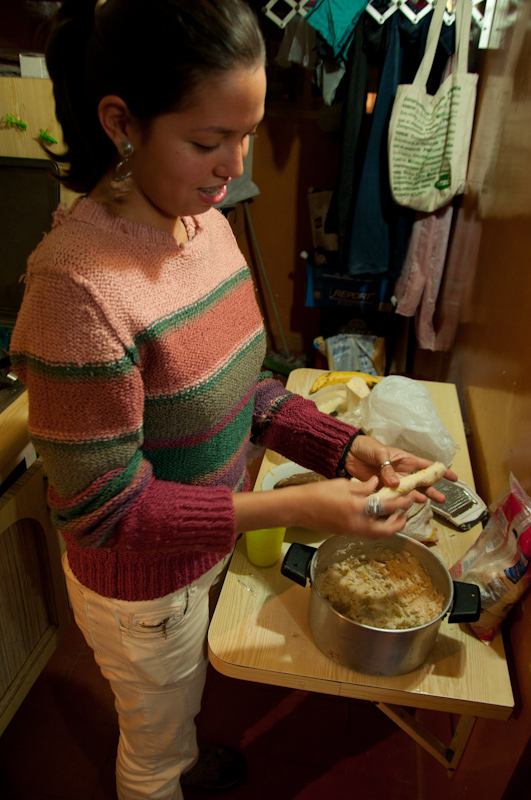 Chicha is a kind of a sweet drink based on milk and either rice or corn. 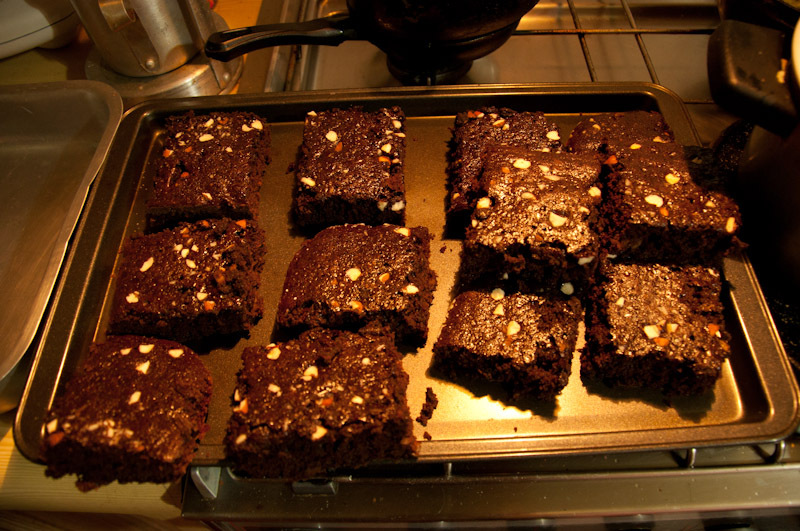 It is often served with condensed milk and cinnamon. 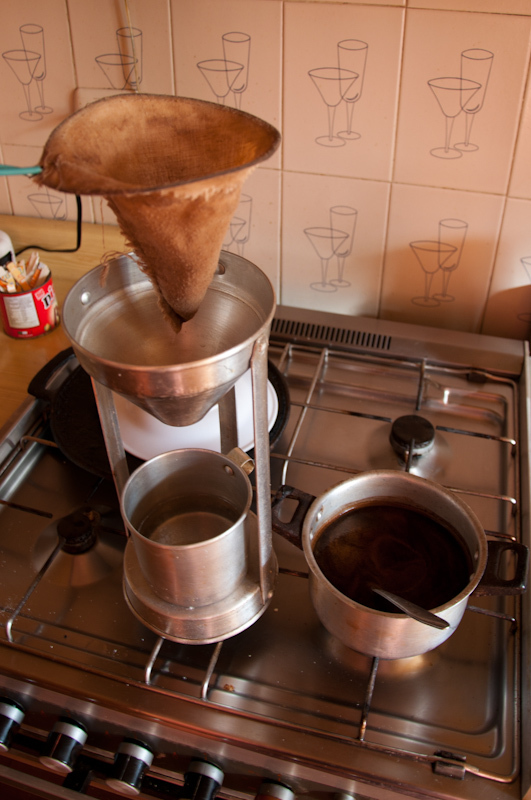 In some areas, such as the Andes, there is also a fermented version of chicha having a low content of alcohol. While the first variant of this drink is like a tasty dessert, the fermented version, in my case, is something worth trying, but not more frequently than once a year! Maltin, a malt beverage without the alcohol. 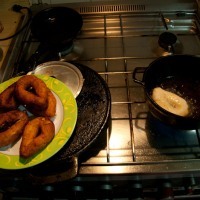 It can be obtained as a by-product of preparing beer. It tastes similar to kvass, or in other words, reminds a bit a sweet beer with a hint of Coca-Cola. Beer – the most popular brand here is Polar. In the evenings, crowds gather in front of bars and shops selling alcohol. It is worth to note hat there are only small and tiny bottles available (about 330 ml and 240 ml), however the prices are affordable and arguably a small bottle makes a beer stay cold for longer. Coffee. 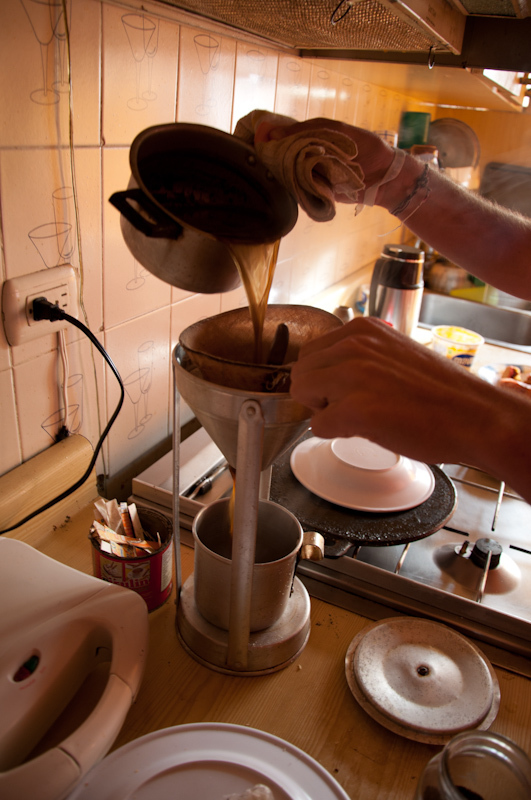 Traditionally the coffee in Venezuela is prepared in the following manner: coffee is poured into boiling water, it boils there for 2 or 3 minutes on a low fire. 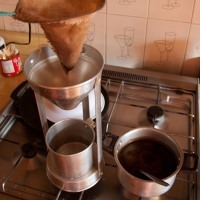 Then, using a special reusable cotton filter the contents are cleared of grounds. 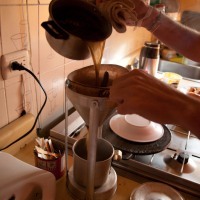 It is nearly always a Venezuelan-made coffee, which is understandable, because the coffee originating in these areas is considered to be one of the best in the world.